At Clocks247.com, we are all perfectionists, and assuming you are one too, let us tell you how you can be right on schedule, every time. All you need to do is to get home one of the atomic clocks. Dubbed the most accurate in terms of time and frequency standards, these clocks ensure that you are always on time. In fact, they tell you the time with such precision that you will certainly be impressed. • Use electronic transition frequencies for the timekeeping element. • Used as primary standards for international time distribution services. • Hold paramount importance in case of global navigation satellite systems. • The principle of operation of these clocks is based on atomic physics. • There are different standards that are followed and these include ion trap, fountain, active maser, and atomic beam standards. All said and done, we are sure you are not here for technical jargon and so, let’s get down to business. Whether you need to buy one of the atomic alarm clocks or a wall variant, start by comparing the prices of suitable options. 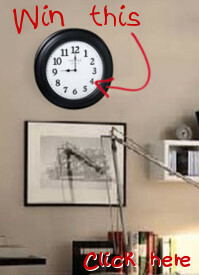 Despite their accuracy, these clocks shouldn’t cost you much, at least not when you are buying them from us. Furthermore, you need to find out if they are likely to go well with your décor. Since we have modern clocks, chances are that one of our options would certainly find place in your home. More importantly, like it is with all other clocks, these should also have easy to read numerals and minute marks. Thankfully, all of our options fulfill this criterion and therefore, with us, you just can’t go wrong. Last but not least, if the clocks come with some kind of warranty, you feel safer when placing your order. With a 12-month warranty, we actually let you play safe. In case you need more information on these clocks, their operation, or anything that has something to do with physics, talk to an expert. On a serious note, if you have any question or concern, please call us at 1-855-242-0514 or send an email to sales@clocks247.com.